CG PET 2019 Admit Card is releasing on 26th April 2019. Chhattisgarh Pre-Engineering Test will be conducted by the Chhattisgarh Professional Examination Board (CPEB). It is a state level entrance exam which is a gateway to get admission in engineering and its branches (Dairy Technology and Agriculture Engineering). CG PET is also known by the name of CG Vyapam. In this article, candidates can check the complete details of CG PET 2019 exam including admit card, dates, pattern, syllabus etc. CG PET 2019 Admit Card is releasing on 26th April 2019. Check here for admit card details. CG PET 2019 Exam Date has been released. The examination will be conducted on 2nd May 2019. Check here for details. Candidates can get the CG PET 2019 exam dates from this table. The admit card for PET 2019 will be uploaded on the website from 26th April 2019. With the help of registration Id number, candidates can get their CG PET admit card. Candidates should bring one photo ID proof along with the admit card for the verification of candidate. Admit cards will be dispatched to the candidates by post. The exam pattern for CG PET written exam is given below. Shift: The exam will conduct in two shifts, i.e. one in morning and second in afternoon. Duration: 180 minutes will be provided for complete exam. No of Questions: There will be total 150 questions in the exam. Type of Question: Question paper will be comprised of multiple choice questions. Marking Scheme: For every correct answer 1 mark will be given. The authority has prepared the exam syllabus from class 12th syllabus. 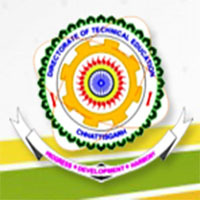 The whole syllabus for each subject is provided by the CPEB. However, candidates have to study the topics from the subjects such as Physics, Chemistry, Mathematics and English. Candidates should prepare according to the courses opted by them. Always follow the NCERT books first and then go for some reference books. Must know the exam pattern of the exam and most important marking scheme for the exam preparations. Make a study schedule and study as per the official syllabus. Choose the chapters to study in a right order. Do not forget to focus on your health too. CG PET 2020 exam will be conducted by the Chhattisgarh Professional Examination Board. Through this exam, candidates can get admission into UG engineering courses and its specializations like Dairy Technology and Agriculture Engineering. CG PET is a state level examination whose application form will be available from the fourth week of March 2020. Question: Can I get CG PET 2019 application form through any other mode except online mode? Answer: There is no other made available to fill the application form. Question: How will I know that my application fee is submitted? Answer: The authority will send you the transaction status after successful transaction of fee and generate the transaction number. Question: I am from Jharkhand but I have domicile certificate of Chhattisgarh. So, can I apply for this exam? Answer: Yes, you can apply for CG PET 2019 as you have domicile of this state. Question: I have completed the age of 17. I am studying in 12th class. So, am I eligible for this exam? Answer: Yes, you are eligible to apply for this entrance exam. Question: I am PCB stream candidate. Can I apply for CG PET 2019? Answer: No, you are not eligible to apply. Answer: Yes, there is a provision of negative marking. Question: It is necessary to complete 17 years of age for dairy technology? Answer: Yes, the minimum age is 17 years as on 31st December of the 2019. Question: Can appearing candidate apply for this exam? Answer: Yes, the final year students can also apply. The exam conducting authority will release the model answer key in the fourth week of May 2019. Candidates can check the answer key through online mode only. The final CG PET answer key will be released along with the result after few days of model answer key. Candidates can also send their objection on official answer key within the stipulated time period. The candidates can view their results through online mode. CG PET result will be uploaded on the website in the first week of June 2019. Along with the releasing of result, the final answer key will also be published. On the basis of result, the candidates will be called for the counselling. The counselling related all information will be furnished in the DTE, Chhattisgarh website. After the publication of result, the counselling will be started. The counselling will be started in the month of June/July 2019. No counselling call letter will be send to any candidates for inviting in counselling. Candidates must be ready with their all original documents for verification process. Only eligible candidates will be able to select the course/college choices. Candidates can get the online application form to fill the application form. The CG PET online application form will be started from 19th March 2019. The last date to fill and submit the application fee will be 7th April 2019. Candidates have to upload the photograph, thumb impression and signature in JPEG format. Once the application form will be submitted, it cannot be changed on later stage. After the successful submission of the application form, candidates will get their registration ID number for the exam. The application fee is Rs. 200/- for General, Rs. 150/- for OBC and Rs. 100/- for SC/ST/PH categories. The fee can be paid through online mode via debit & credit card. Candidates can check the complete eligibility to appear in CG PET 2019 entrance exam. Domicile: Candidates must have the domicile of Chhattisgarh state. Qualifying Exam: Candidate must pass 12th or equivalent exam from Chhattisgarh board or any other recognized board. Minimum Marks: The candidates must pass the qualifying exam with 45% for General and 40% for SC/ST/OBC/PH. Subjects: Candidates must pass with Physics, Mathematics as compulsory subjects & any one of the Chemistry, Bio-technology, Biology & any technical vocational subject. Age: The minimum age to apply is 16 years (completed). Qualifying Exam: Must pass 12th class from CG or any equivalent board. Minimum Marks: It is necessary to score 50% marks in PCM & English in Intermediate and 40% for SC/ST/OBC. Subjects: The mandatory subjects are physics, chemistry, mathematics and english. Age: The applying candidate should complete the 17 years of age as on 31st December of the 2019. Qualifying Exam: One should qualify the 10+2 or equivalent from Chhattisgarh board or any equivalent board. Minimum Marks: Candidate must obtain the 50% marks in PCM and English together (40% for reserving categories). Subjects: The necessary subjects in the qualifying exam are Mathematics, Physics, Chemistry and English. Note: For admission in Bachelor of Engineering, it is necessary to appeared in the JEE Main exam. If you have any other queries about CG PET 2019, you can write your queries in the comment box given below. I want refund because i am going to attend my sister’s marriage on that day. So can you please tell me what is the refund policy of PET exam. I miss the last date of apply CG PET..
Can u plz guide me…how I apply again..
What is fee of a 2019 PET EXAM can you tell me sir? Can medical student qualify this exam? Sir maine suna tha ki 2019 me cg pet ka paper nhi hoga kya ye shi hai?? No, it is not announced by the officials yet. Other state candidates are not eligible.